In LibreOffice, there's a white square that appears in the top right. It's a CSS problem. You could check how the guys from Adapta and United-Gnome managed to solve it. By the way, I think that a mix of Pop!_OS GTK theme (from Adapta) and United-Gnome Ubuntu shell theme would do a great job. See attachements for an example. The United-Gnome GTK theme would be nice too. I do see the issue in 17.10 still. But to me it looks like a feature, if not a bug. The "white square" ties the close button to the document area. So it looks intentional and logical. Maybe it's not intentional, but either way not a big problem. By the way, in Ubuntu 17.10 daily build, and LibreOffice 5.0.4, the bug still exists. See attachement. Yes confirmed the bug is still in 17.10. 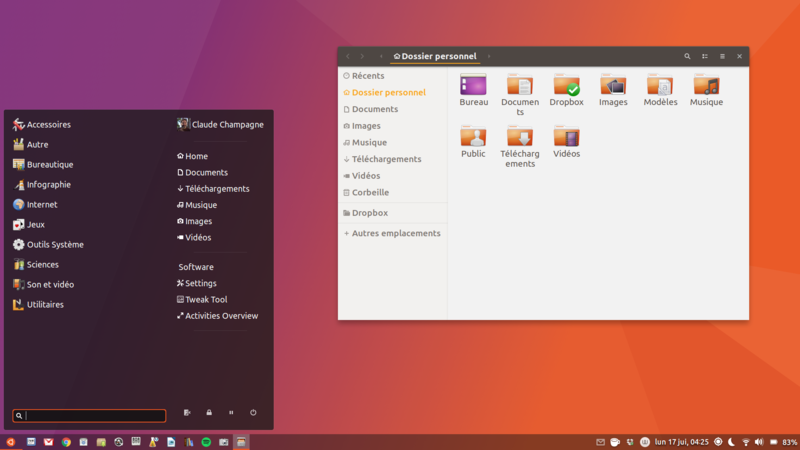 It's Gnome Shell, with Activities, new Ubuntu Dock bar and everything. The LibreOffice 5.4 in the daily build came with it. Unlike you, I didn't install it from deb. The bug has nothing to do with a VM or not. All themes with a dark header bar do this, unless they are fixed. Like I said, look at what Adapta or United did to correct this. Or you take it to LibreOffice to correct this. But it will be faster to fix the theme. > The LibreOffice 5.4 in the daily build came with it. Unlike you, I didn't install it from deb. > All themes with a dark header bar do this, unless they are fixed. Like I said, look at what Adapta or United did to correct this. Adapta seems affected as well to me, it's just less noticeable. If you look at the picture the headerbar's border stops just below the close button on top corner. Me neither. :-) But you said that you had no problem with the one from deb. "I wrote a very specific rule that hopefully only fixes this issue in LibreOffice"